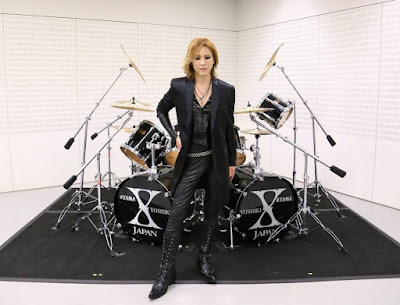 X Japan's Yoshiki charity auction hit 604 million Japanese yen before it closed. The musician auctioned away his premier special edition of signature TAMA drum. The auction was to commemorate the 5 year anniversary of The Great Japan Earthquake and Tsunami. A spike in bids on March 14th propelled the auction to the whopping 604 million JPY ($53,870 USD). There were 766 bids made worldwide with all the proceeds being donated to the "Japan Earthquake and Tsunami Relief Fund" through the Japan Red Cross. If the winner resided in Japan, he would have received the drum set handed over by Yoshiki himself, along with the possibility to participate in a photo op with the musician. The drum set includes the drums and autographed signature drumsticks.